When it comes to meeting your future husband/wife, Sarah and Troy’s love story show that destiny does play a role in your love life. “We are both from the Midwest, but both left home to go to college at University of Central Florida. We never managed to cross paths even though we found out later we have multiple mutual friends. After I graduated I moved to Gainesville for pharmacy school and chose to do some of my rotations in Tampa, while Troy had just recently moved to Tampa for a new job. It’s still crazy to think of everything that had to happen to us in our lives to get us both in the same place and the same time so we could finally meet!” Sarah reminisced. Sarah and Troy decided on a coral beach inspired wedding. 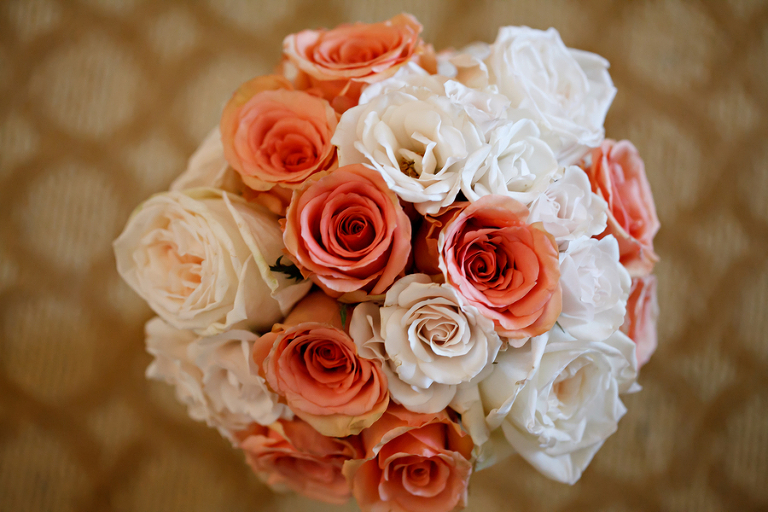 “We chose various shades of guava, coral, ivory, and gold. Once we had booked our wedding venue I knew I wanted some warm, bright colors to really pop against the water and the lush lawn where we had our ceremony,” Sarah said. 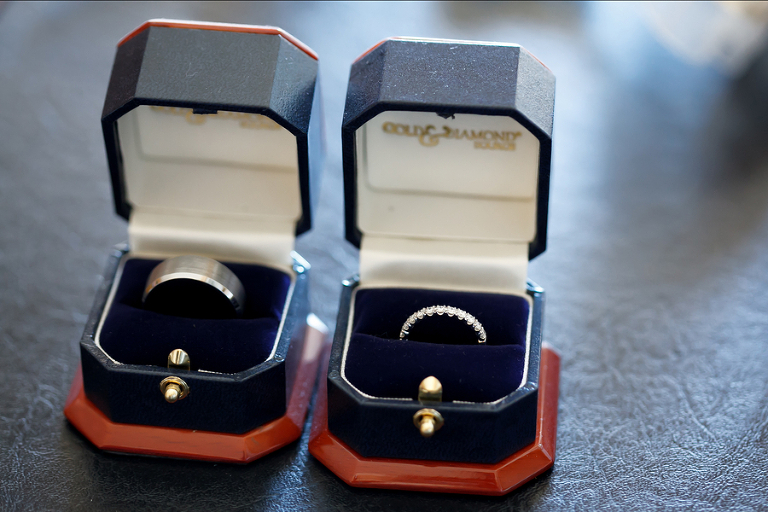 To remove the lengthy process of choosing Sarasota wedding vendors, Sarah hired Sarasota wedding planner Burkle Events. “Jen and Natalie would set up all our appointments usually back-to-back at our house and all we had to do was show up. We found some amazing vendors that really made our wedding special, and I dont know if I would have found them on my own. Jen was so personable and easy going. She truly cares, and during all of our meetings together it was like we were meeting with a friend too, not just a planner,” Sarah shared. One of Sarah’s favorite wedding vendor finds was Carrie Wildes Photography. “I knew the actual day of the wedding would fly by, so we wanted to make sure we found an amazing photographer to capture all of our memories. We chose Carrie Wildes and couldn’t be happier. She is so personable and easy to work with and all of her photographs are stunning. 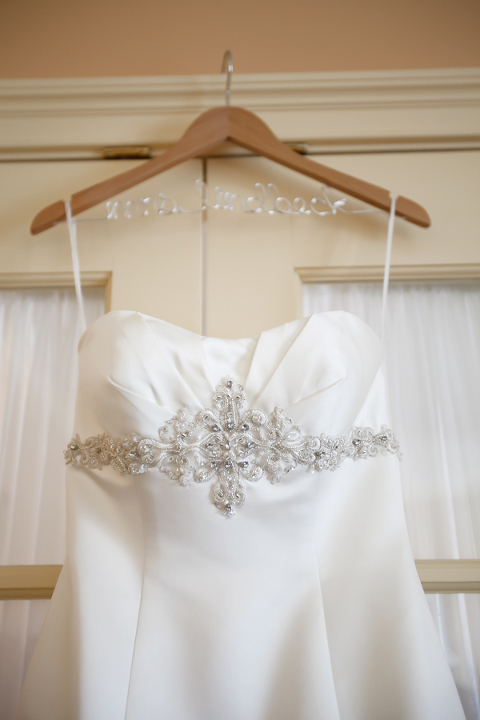 She captured our wedding beautifully and even added some extra details to surprise our guests,” the bride said. Proving what can go wrong while wedding planning, Sarah had a major setback. Luckily her Burkle Events stepped in to save her wedding day! “Several months before the wedding our original venue cancelled on us. Burkle Events worked so hard to find us a new venue on such short notice, and they ended up finding one I liked even better than the original! There were a lot of plans and details that needed to be changed with the change in location and they handled all of it. I don’t know what i would have done without them!” Sarah exclaimed. 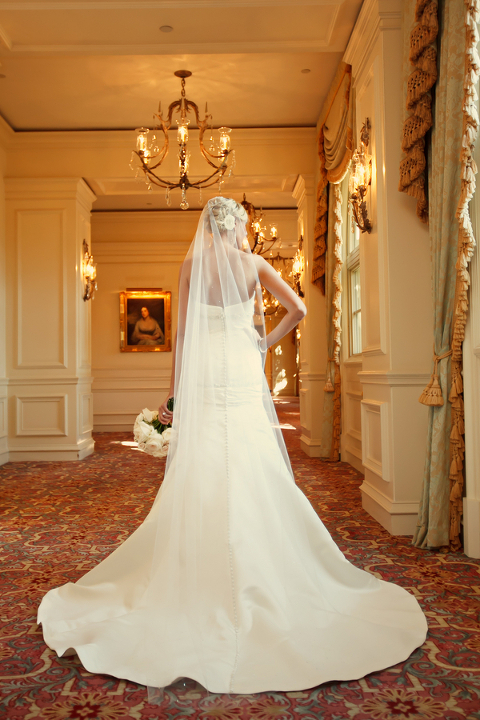 What advice do you have for other Sarasota brides? Don’t stress about all the little details. You will be so caught up in the moment they won’t even cross your mind on your wedding day. All that will matter is that you just married the man of your dreams. Even the most awful setback could end up being a blessing in disguise, so just have fun with it and enjoy the planning process – you’ll miss it when it’s all over! Sarasota Wedding Invitations: Signature Collection Inc.
We are proud to have Burkle Events as a Marry Me Tampa Bay sponsor!